Kite surfers rely on the power of the wind to be pulled through the water on a small kite board. Kite surfing has become rather popular in Mallorca over the last few years. 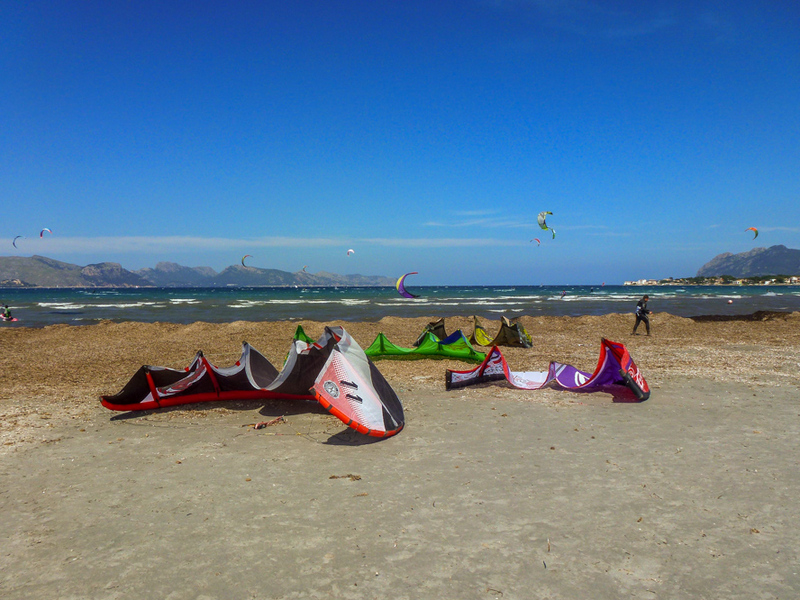 Depending on the direction that the wind comes from, the North of the island is particularly popular with kite surfers, with consistent sea-breeze conditions being prevalent in the Bahía de Pollença and the Bahía de Alcúdia. If the wind comes from the South, kite surfing would be best in the Bahía de Palma and the south coast. The photo was taken in Alcúdia, Mallorca, Baleares, Spain. The date: April 19th, 2014.